Discussion in 'Pin Zaps & Swaps' started by AidanShepard, Mar 17, 2018. I know I've been super quiet. It's been a rough little bit (I had to put down one of my kitties ;^; ) and I've been lurking mostly, and I'm trying to wiggle my way back into collecting and trading! 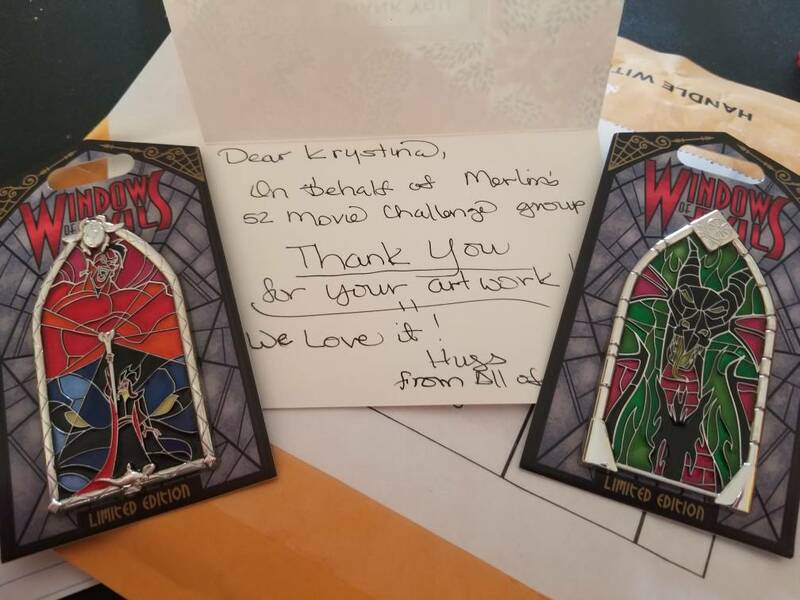 Well after Merlin revealed the badges for his Disney 52 Challenge, pincrazy contacted me and asked for my address, and sent me these two pins! And with such a sweet note, too! MerlinEmrys, coblj003, Disneychildwithin and 1 other person like this. We do love the badges/ medals! Congrats on the zaps!! Thank you. She was only seven and I raised her from a kitten. The sweetest cat I ever had. ;~; Though Louie is a close second. Very sorry to hear the news, but very happy for your pins! Your artwork is great and the zaps well deserved. Congrats! So sorry to hear about your kitty. Yeah it's been a roller coaster of a week. Thank youu. And thank you! Lots of thanks. Hee. Congrats on the zap, but sorry about what you have been going through. It looks like this is the perfect time to jump back into it. Sorry about your kitty. Losing a pet is the worst thing ever.